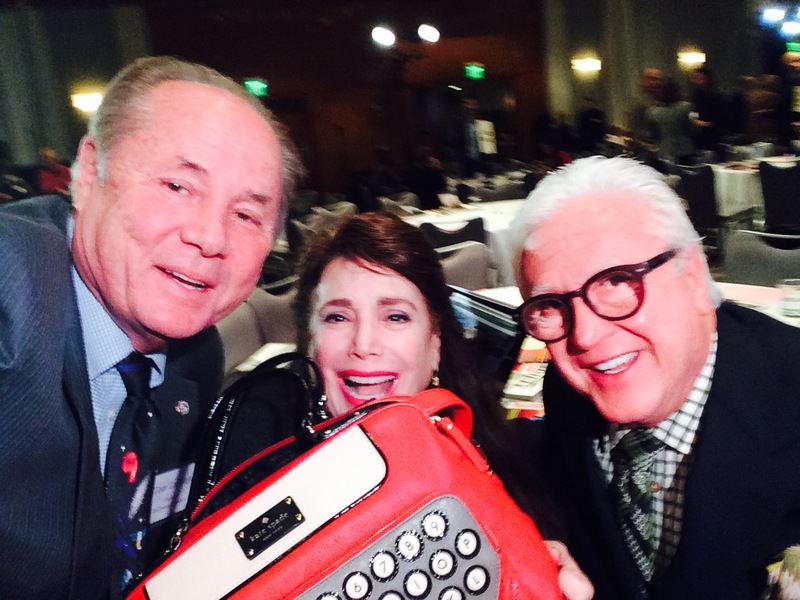 When I went with GLORIA GORDON and GLORIA SHEPARD to see the Hollywood Museum a few months ago, I wore my ‘typewriter purse’. Donelle Dadigan, the Founder of the Hollywood Museum, fell in love with it. I figured she’d like the concept since she’s big on preserving and honoring the past. Since Kate Spade hasn’t made this item for a few years, Donelle went on a quest to find her own — and did! Yesterday she brought it to the Hollywood Chamber of Commerce meeting, where Vin was the Emcee and former Hollywood City Councilman Tom LaBonge both admired her new find. They took a picture to show me the purse at its Hollywood debut.